If you are looking for a used BMW Z4 in Vancouver, North Vancouver and surrounding area, the Goldline Motors sales team will be able to satisfy your needs. Goldline Motors always has a great selection of pre-owned BMW Z4 in stock and add to the vehicle inventory daily. At Goldline Motors we proudly sell used BMW Z4 to customers from Vancouver, North Vancouver, Richmond, Burnaby, Surrey, New Westminster, Coquitlam, Delta, Abbotsford and Victoria. 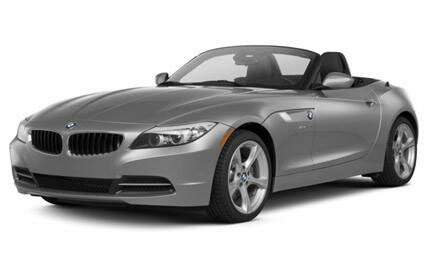 The BMW Z4 has the classic two-seat roadster look, but features a modern two-piece power retractable hardtop. The result is an elegant looking car that blends the sportiness of a coupe with the enjoyment of a convertible. The Z4 is offered as three different models; sDrive28i, sDrive35i, or sDrive35is. Power for the sDrive28i comes from a 240-hp 2.0-liter direct-injection, turbocharged four-cylinder engine. The sDrive35i is powered by a twin-turbo, 300-hp 3.0-liter inline six-cylinder engine, while the sDrive35is gets a 335-hp version of the twin-turbo 3.0-liter inline six. Transmission choices include a six-speed manual, eight-speed automatic, or an advanced double-clutch seven-speed transmission. Standard features include Driving Dynamics Control which allows the driver to change the vehicles characteristics between normal, sport, and sport+ mode, adaptive brake lights, and a two-piece lightweight-aluminum hardtop. For 2013, the Z4 adds auto-dimming interior and exterior mirrors, Comfort Access keyless entry and a universal garage door opener to standard equipment on all trims. Power seats, automatic climate control and aluminum interior trim enhance the sDrive28i. The sDrive35i receives 18-inch wheels and tires while the sDrive35is is decked out with BMW Assist, and a premium hi-fi sound system. Source: Chrome Data. 2013 BMW Z4 Reviews:...available with Adaptive M Sport suspension, consisting of computer-controlled adjustable dampers that constantly vary their firmness based on road surface inputs, steering angle and lateral acceleration data. -- Edmunds.com.....The twin-turbo engine is--as we've already experienced in other BMWs--quite a piece of work. -- Road & Track. Source: Chrome Data.